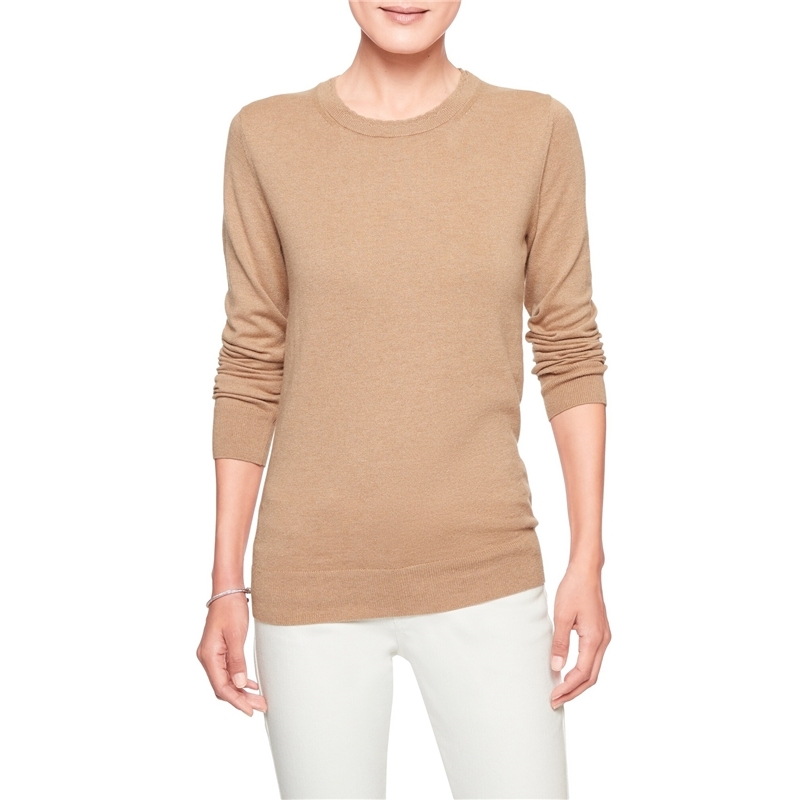 *Scalloped crew neckline. Long sleeves. *Premium Luxe yarn is spun using a process that results in a softer hand-feel and better drape. 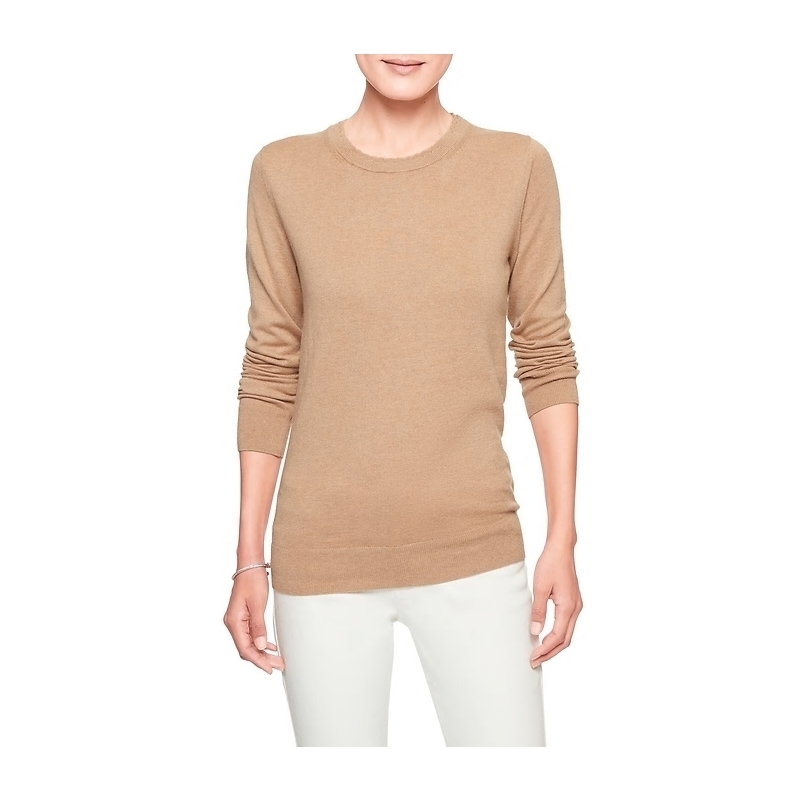 This machine washable-sweater is soft and the hint of cashmere adds a luxurious touch. 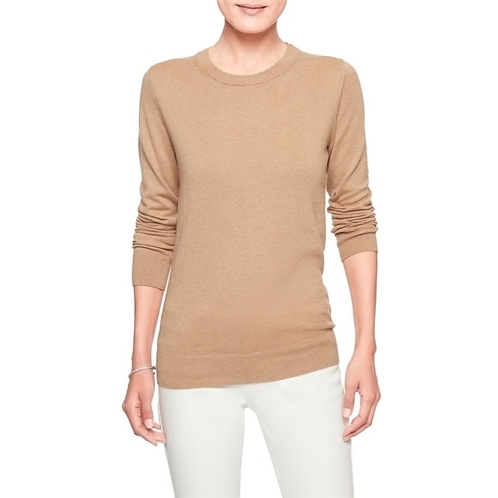 *55% cotton, 40% nylon, 5% cashmere.